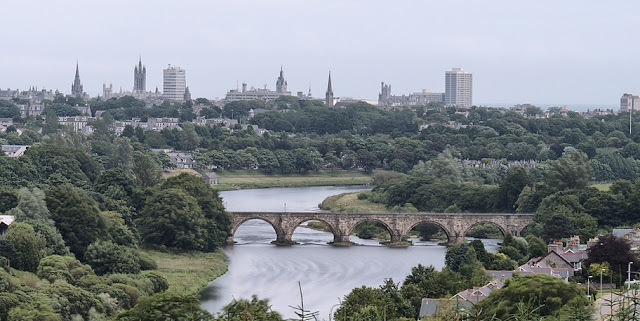 We were standing in the kitchen of our flat in London when out of the blue my husband asked 'Fancy moving to Aberdeen?' He had been working on a project up there and had been offered a permanent post. I took a sip of my coffee and thought 'Why not? I was a few months away from finishing GP training and we had no particular ties to staying in London. Every journey, to work or to see friends, took an hour door to door. We couldn't afford the sort of house we wanted to start a family in. May be a move was just what the doctor ordered? A few weeks later, we took a flight up to Aberdeen. Within an hour of landing we were climbing sand dunes on the beach at Balmedie. The sun was shining, the sea was brilliant blue and the beach was empty. That evening we walked into the city centre, taking in the impressive granite buildings and enjoyed a great meal. The next day we drove out to the Cairngorm national park and realised how close Aberdeen was to some truly wild scenery. As we sat on the plane waiting to take off back to London, our decision was made. Since moving here, we have never looked back. We live less than a five minute commute from each of our jobs, we were able to afford a beautiful home, have started a family, made a wonderful group of friends and each weekend are spolit for choice: a picnic on the beach, a walk in the hills, dolphin-watching at the harbour, a visit to a fairytale castle...the list goes on. Being a GP is a stressful and demanding job wherever you decide to do it, but with access to all this on your doorstep, Aberdeen gives you plenty of chance to unwind. I am coming to the end of my Career Start Year and it’s certainly been everything I had hoped for and more. You may have seen from my blog at the start of the year I was combining GP with Old Age Psychiatry. As it happens this has worked out perfectly! From August I will be taking up a part-time partnership at the practice where I have spent the last 12 months. This has allowed me to have a very good idea of how things work but more importantly getting to know the people I will be working with. As this is only part time to start with I need to have another source of income and I have been able to get 3 sessions a week in Old Age Psychiatry, continuing the work I have been doing in my Career Start for the past year. Without the experience of the past 12 months I suspect it would have been impossible to get as it was only created by me asking for it. Fortunately they had some spare money and have given me a job. Looking back on the year I am much more confident in my skills as a GP but have also developed so many new ones, which has allowed me to explore other areas of medicine I would never have thought about during my training. The secondary care team have also enjoyed and valued having a GP about and I have been able to create some invaluable working relationships. I have thoroughly enjoyed the year and would certainly recommend it to anyone and everyone.